Un cambriolage | One quality, the finest. 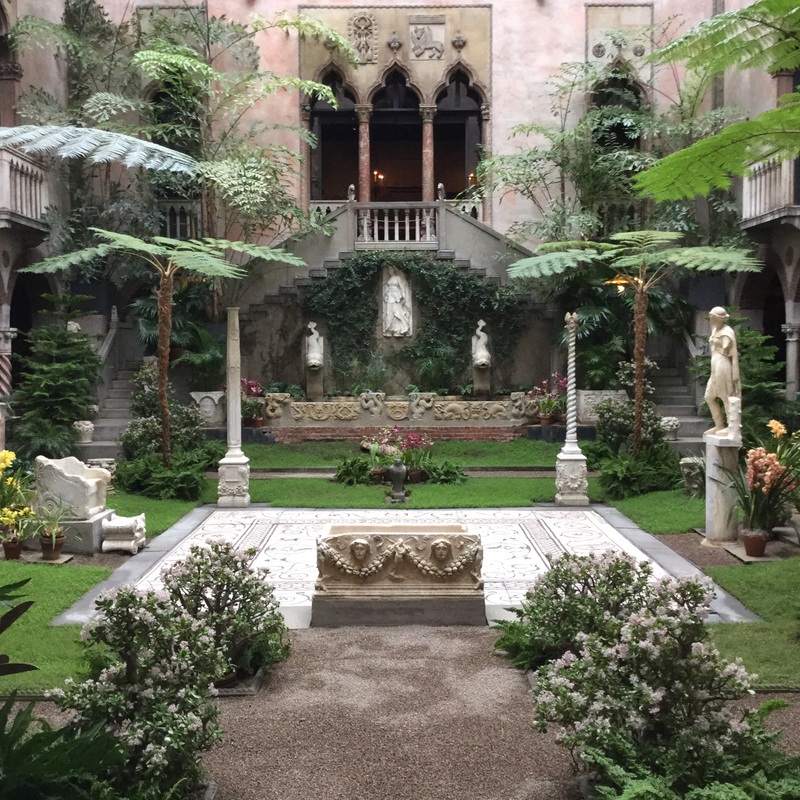 In our ongoing quest to escape the winter of 2015, we went back to an old favorite, the Isabella Stewart Gardner Museum. They’ve loosened up the rules prohibiting photography just enough to allow pictures of their glorious courtyard. The light in the museum is always subdued to preserve the artworks, but when the glass roof is largely obscured by snow, it brings a new meaning to subdued. Still, what a beautiful sight! The museum represents the collection of Isabella and Jack Gardner. 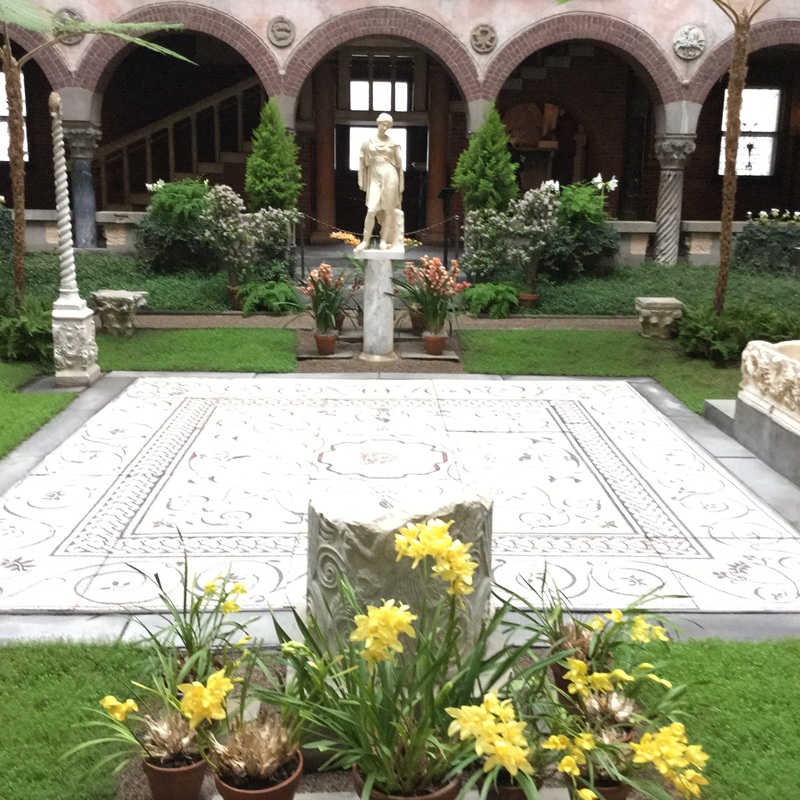 Isabella Stewart was attending finishing school in Paris when her friend introduced her to her brother, Jack. The Gardners made their home among the elite of Boston society. The pair roamed the world on the recommendation of their physician to help Mrs. Gardner get over a depression brought about by the tragic loss of their only child a few months before his second birthday. They particularly fell in love with Venice. In addition to great works of art, they also bought bits and pieces of Venetian palazzi back to Boston. The Gardners were early adopters of recycling, as they used this architectural salvage to create a rather idiosyncratic house-museum in the then-unfashionable Fenway district. The collection is, naturally, largely devoted to Italian works, principally sacred art. There are, however, some notable French works, particularly among the sketches. The museum was the victim of a rather notorious cambriolage (kam-bree-oh-lahj), or burglary, in 1990. 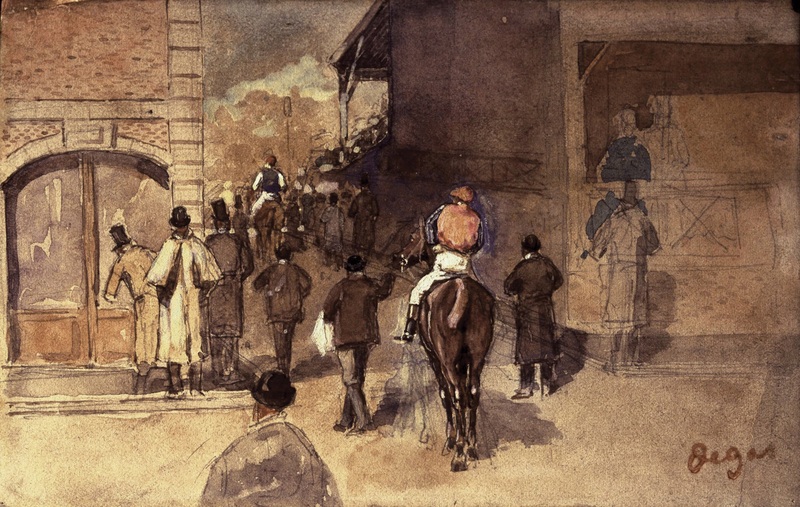 Among the works taken were several drawings by Degas and a rather fine Manet. (Rather more famous were the three stolen Rembrandts and a Vermeer.) Curiously, the thieves also made off with an eagle that once topped a Napoleonic military flag. With all the treasures to choose from, this is a particularly random-seeming selection. According to Mrs. Gardner’s will, nothing can ever be moved, so the empty frames remain on view, haunting reminders of this unsolved art heist. I hope the paintings are somewhere safe, as there is at least a hope of their recovery. While the museum is worth a visit during any season, we’ll definitely head back in the spring to enjoy the newly-developed garden areas. With eight feet of snow having fallen on Boston this past month, the grass may actually appear sometime around June! 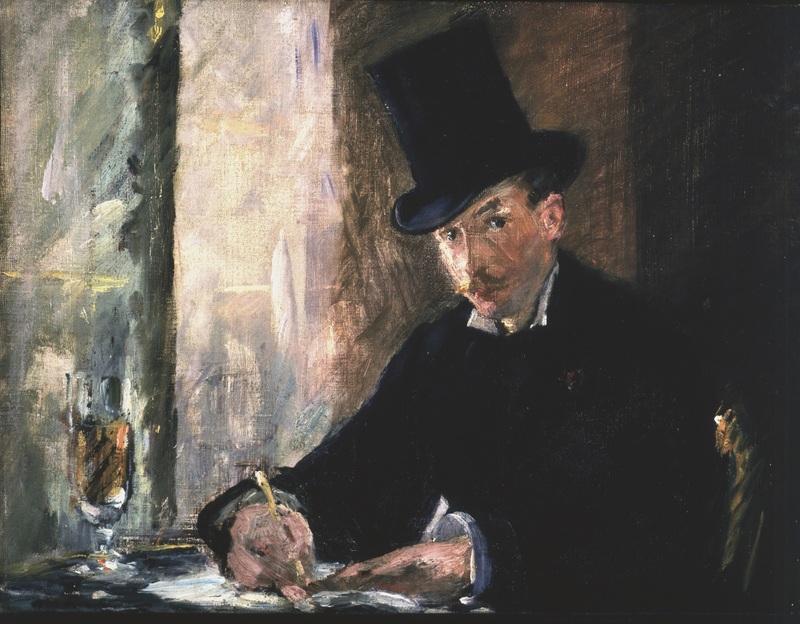 This entry was posted in Art and tagged art theft, Boston, Edgar Degas, Isabella Stewart Gardner, Manet, un cambriolage. Bookmark the permalink. Very interesting post. Love as always the french “word of the day”! Merci beaucoup! I’m delighted to hear from another French enthusiast.